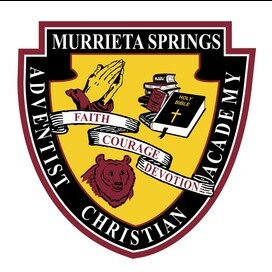 Murrieta Springs Adventist is using Smore newsletters to spread the word online. The end of the school day today marks the begining of the Spring Break!!!! We pray that everyone has a wonderful, much earned break. We look forward to the start of our new semester when we return on April 5th. Registration is now open for the 2017-2018 School Year. Please pick up re-registration packets in the office. Registration fees paid before June 1st is $200 and is $250 after June 1st. 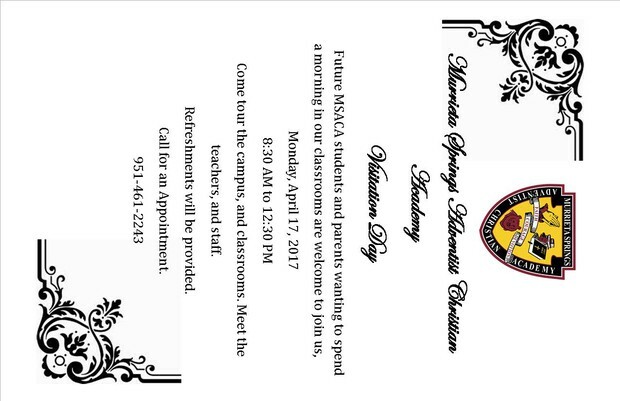 Also remember that for every new family that you refer to MSACA you get 10% off your monthly tuition next school year. We are in need on of any military dress uniforms (costumes or actual uniforms) that we may borrow for our program on May 21st. Please bring them by the office for Mrs. Capizano to see. How do I use Skipple at my school? It’s as easy as downloading an app. You and your friends can download Skipple from the Apple App Store or the Google Play Store. Once you open the app, type your school name and select it from the list. Sign up for a Skipple account and the school will be associated with your username. Any photo you upload will now appear in the photo feed for that school. How do I use my school’s Skipple photos in our yearbook? If your school uses the Picaboo Yearbooks online yearbook designer, Skipple photos can be imported into your yearbook project by your yearbook adviser. Follow this link to upload photos https://d88zf0kfw1nyb.cloudfront.net/skipple/web/skipple-header-logo2.png.